This final guest piece is by my beautiful, charming, talented girlfriend whom I love, Sloan! 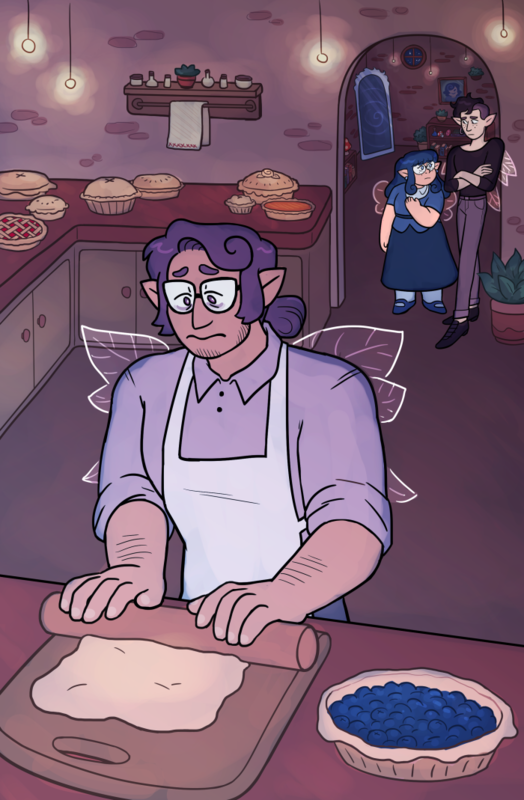 I'm always so delighted whenever anyone draws Cedric, and very sad melancholy Cedric is like some kind of fanart bingo. I love this piece so much!! Also thank you for fixing the completely nonsense liminar space architecture I gave the Poulaine household a year ago, this is what it looks like now actually. You can follow Sloan on tumblr and twitter! Regular updates resume thursday! Just in time for me to be back in school! I'd recommend taking this chance to catch up to the comic if you haven't already!